Every day, news reports bring us images of conflict, suffering and tragedy in many places such as Ukraine, Syria and the Philippines. These are images of civil conflict and confrontation of citizens with power (Ukraine); violence and terrorism (Syria); the suffering brought about by natural disaster (Philippines). As Orthodox Christians, we believe that in each human being is found the image and likeness, which provides the foundation of the human dignity which God commands us to respect in all circumstances. As we prepare for the celebration of the Nativity of our Lord, God and Savior Jesus Christ, I draw attention to the images of conflict and suffering which involve Orthodox Christians directly and inescapably. In Kyiv and other cities of Ukraine many citizens have risen up in protest against the arbitrary use of power, against power which disregards the dignity of citizens, against power which is tempted to turn to force and violence. 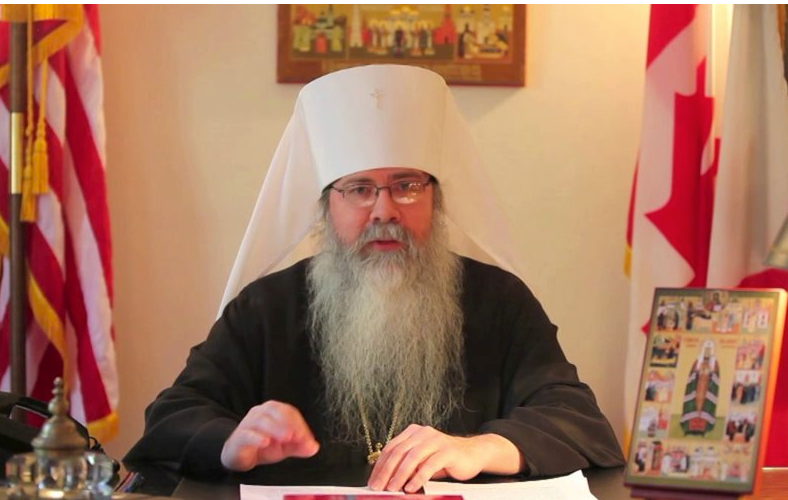 The voices from the Ukrainian Orthodox Church and other churches and religious communities have called for non-violence. Indeed, the voices of protesters also appeal for non-violence. Let us join with the Orthodox Christians of Ukraine in steadfast witness for non-violence and for the protection of human dignity. In Syria and the countries bordering that land several million men, women, and children are now refugees from their homes—internal refugees in Syria itself, or refugees in Lebanon and Jordan. People are slaughtered and kidnapped. No one is exempt from the suffering, whether Muslim or Christian. Of special concern is the violence under which Christians live in Syria, violence which impels many to flee. Let us be with the Orthodox Christians of Syria in prayer and solidarity. Our solidarity can find expression in humanitarian aid for refugees provided by International Orthodox Christian Charities. Our solidarity can find expression in educating our fellow North American citizens in the realities of the challenges and threats confronting Christians in Syria and the whole Middle East region. All of this we must keep in our hearts in the midst of our Lenten preparations for the birth of Christ. Let us be mindful that the Orthodox Christians in Ukraine and Syria are also preparing to celebrate the birth of Christ, and they do so in the context of the threats and anxieties confronting them. As we offer our prayers for all those who suffer throughout the world, let us remember that after His birth in Bethlehem our Lord Jesus Christ was Himself threatened by the violence of Herod and was taken for safety to Egypt by His mother Mary and Joseph. May He Who shows us the most excellent way of humility and love lead us to the safety and peace of His Kingdom.